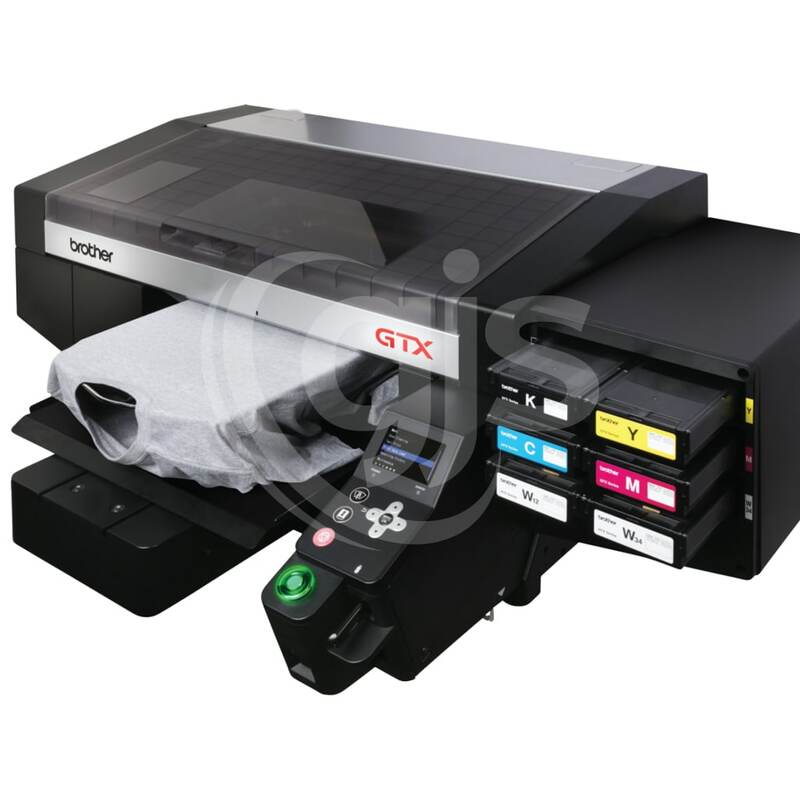 Brother GTX - The X factor for your garment printing business! With so many innovative new features, the Brother GTX direct to garment printer is certain to take your production to new heights. Create customised products faster than ever with the increased print speeds achieved by the accelerated next-generation print heads. 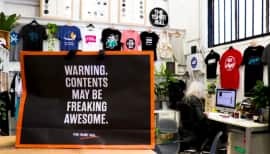 Beef up your product offering with the expansive range of interchangeable platen options, helping you accurately position and print shirt fronts, backs, wraparounds, pockets and sleeves, hoodies, socks, caps, bags and even shoes. 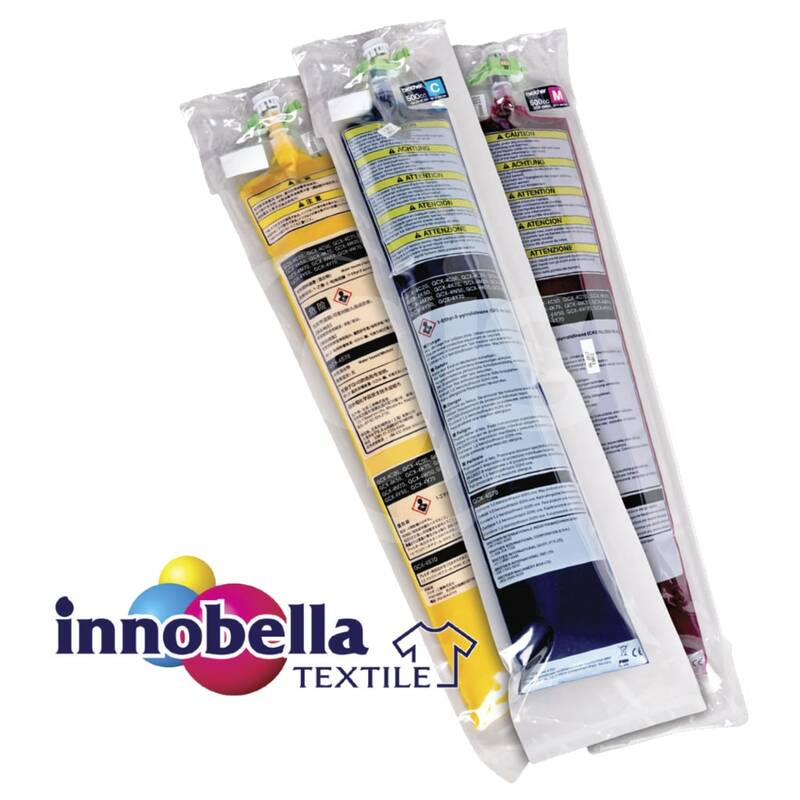 Print bigger and bolder with an increased maximum print area of 16 x 21" (40.64cm x 53.54cm) and 30% larger colour gamut achievable using the new Innobella Textile Inks developed for the GTX. These newly formulated Okeo-Tex Eco-Passport certified and CPSIA compliant inks are supplied in replaceable ink pouches, using less plastic than traditional cartridges - reducing the impact on the environment. The white ink circulation system and wet capping station help to reduce both maintenance costs and time. The easy to use interface featuring full colour display and 800Mb built in memory, allows you to maximise your work flow and queue multiple print files, preview on screen and print directly from the device. Conveniently located at the front of the printer, USB and network connections are easily accessible for full industrial production integration. The AccuLine visual alignment system from Brother allows you to see the shirt, hat, shoe, hoodie or whatever you are planning to print, right there on your monitor so you can adjust your design placement to print precisely where you want it every time! 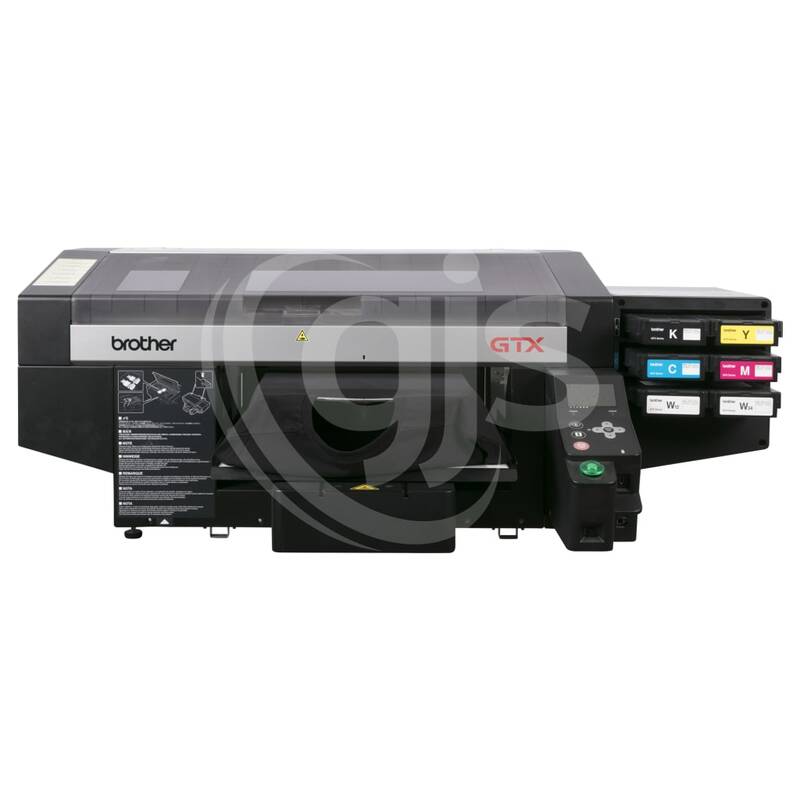 Designed specifically for use with the Brother range of direct-to-garment printers, the setup combines an easy to use software package with a light weight, mounted, full HD 13MB pixel digital camera, to create an alignment system that can save you time and money while improving the overall quality of your printed products. NB: The AccuLine visual alignment system is currently not compatible with the extra-large platen on the Brother GTX garment printer. Single or multiple for CMYK. Underbase and highlight for white. 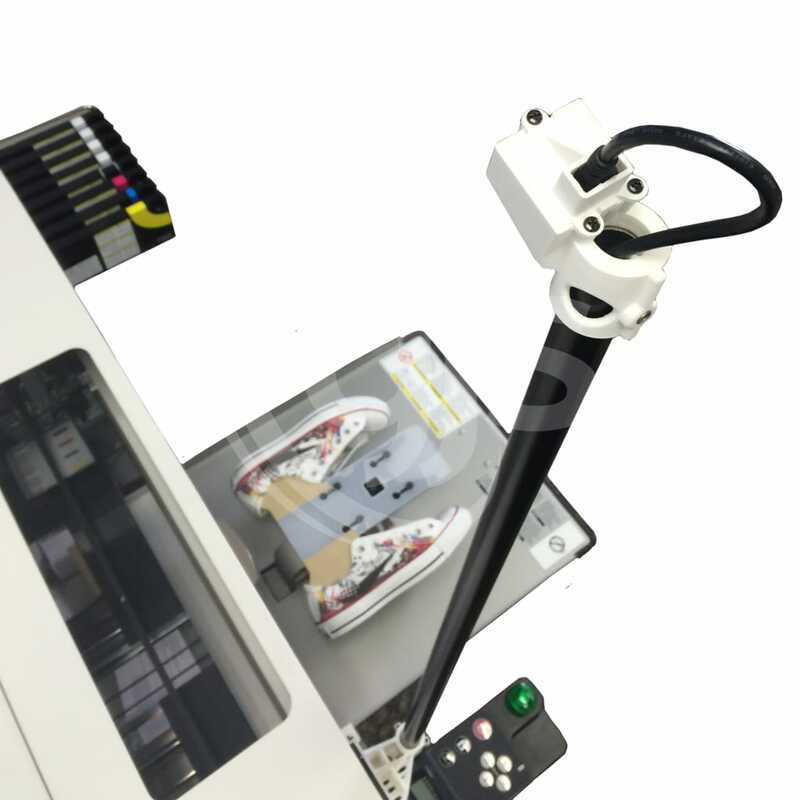 Heat press machine can be used at 180°C for 35 seconds duration. A conveyor oven/tunnel dryer is recommended to support high productivity of the printer at 160°C for 3.5 minutes duration. Time and temperature may vary depending on which manufacturer's dryer is used. Before printing, apply pre-treat manually or use an automatic device. Cure using a heat-press machine according to manufacturer's instruction. Pre-treatment is necessary for printing with white ink. The staff at GJS have had a huge impact in helping me start my small sublimation business and are always there to help. I always get a friendly welcome and the help i need even when things are really busy. Its been a great pleasure doing business with GJS and look forward to doing much more in the years to come.